In celebration of the Master Of Horror’s 70th birthday, Before the Cyborgs presents Stephen King Week a look at some of the best known cinematic adaptations of Stephen King’s novels. Like The Shawshank Redemption, this literary work and its movie adaptation is a showcase of Stephen King at his very best outside the horror genre. Though it contains elements of fantasy and the supernatural, at its core The Green Mile is a tale of the human spirit. 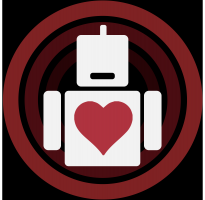 Its beauty, its ugliness, its resilience, and its ability to move and transform those we interact with. 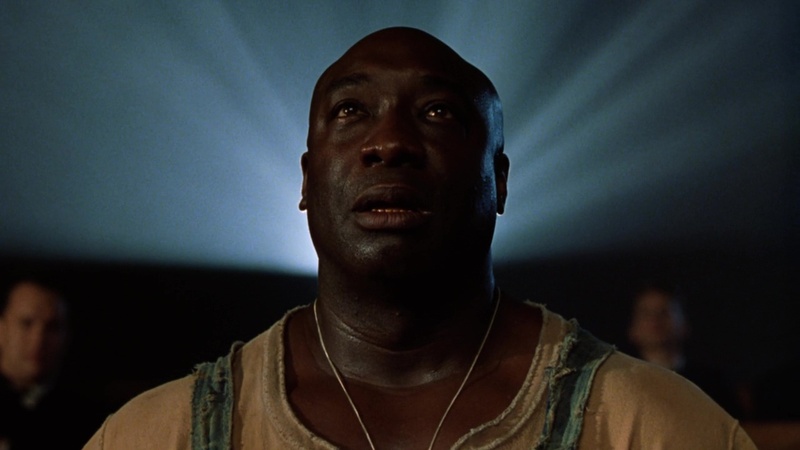 Written for the screen and directed by Frank Darabont (who performed the same duties with The Shawshank Redemption), “The Green Mile” shines in its ability to convey genuine emotions and thought provoking questions to its audience. King and indeed Darabont have succeeded in these works in showcasing that the real menaces in life are not demonic clowns or possessed dogs, but humans themselves. Conversely the real heroes and the ones who redeem this sometimes despicable thing that is human existence are humans who hold steadfast in the belief of goodness and love. This movie exhibits just that, the badness and the goodness and that sometimes perhaps miracles can happen in the most unlikely of places. In 1935 prison officer Paul Edgecomb (Tom Hanks) is the supervisor at Cold Mountain Penitentiary’s death row (known as The Green Mile). Though he and his fellow officers regularly interact with a wide range of condemned men, it is one in particular that profoundly affects everyone in a most unexpected way. John Coffey (the late Michael Clarke Duncan, in an Oscar nominated lead role) is on the outside a physically imposing and terrifying figure. Yet the juxtaposition between his appearance and his demeanour could not be any clearer. He is soft spoken, innocent in action much like a young child, loving in his words and deeds, and holder of a special fantastical power. But he is accused of an unspeakable crime and is condemned to die in the electric chair…. is it possible? Who is John Coffey and what does he really represent? Some have pointed to a Christian allegory for Coffey’s true purpose, but beyond a religious interpretation, its obvious that Coffey came to the prison to change the outlook on life of not only Paul Edgecomb, but the officers, and his fellow inmates. While this story holds an element of fantasy, it very much mirrors “The Shawshank Redemption” in its tone and message and further reaffirmed that Stephen King was not tied down to any genre. 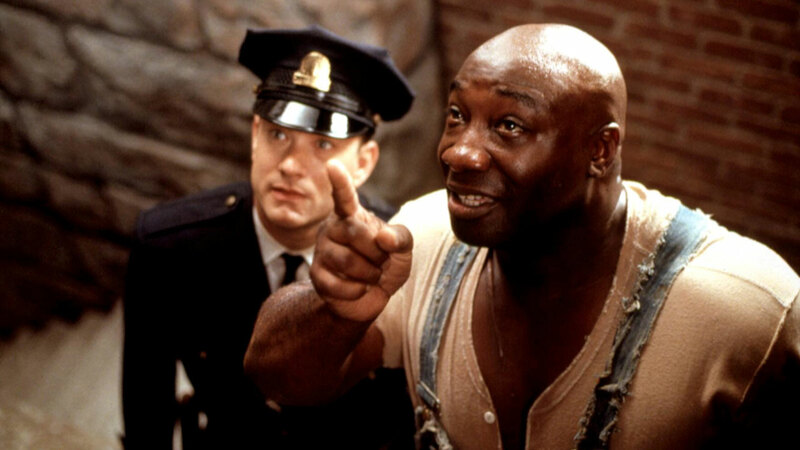 Both as a literary work and this film adaptation, “The Green Mile” is an inspiring, emotional and smart opus and another testament to the storytelling genius that is Stephen King. More than a simple buddy movie, Green Book deftly juggles emotional thematic material with humor and heart. Vice covers everything but develops almost nothing to a satisfying end in its wildly inconsistent portrait of the former vice president.